Sam Fox is no ordinary athlete. At the beginning of the summer, he made plans to run, hike and bike his way across the US in what he called his Tour de Fox. 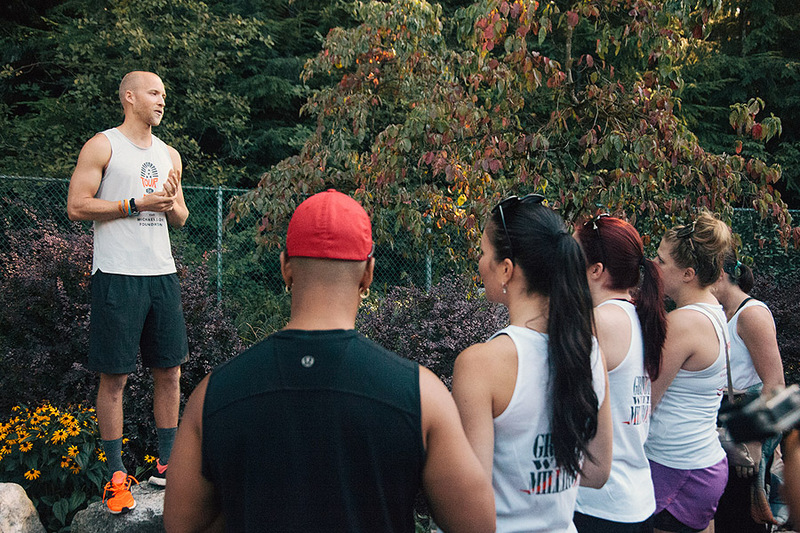 His mission: to raise $1 million for the Michael J Fox Foundation. Over a three-month period, he climbed 49 high points in 48 states and travelled a total of 14,000 miles – 8,000 of those by bike – on his way to raising more than $2.45 million (and counting). We caught up with Sam on his road to recovery and hear about his exceptional feat, which proves there’s no mountain too high to climb. Who was the inspiration for Tour de Fox? The obvious answer is my mother, who has lived with Parkinson’s disease since 2000. But in terms of thinking up the idea, I’ve been doing these challenges for a while. My first big fundraiser for the Foundation was in 2011, and that was a 2500 odd mile run from Canadian border to the Mexican border. So we put out a post on the Team Fox Facebook to our followers to let them pick what my next challenge would be. We got a lot of different answers, including biking, climbing and running and we combined our favourites to put the route together. Combining the sports allowed us to get in front of many people as possible and it’s a lot easier to cover miles on wheels than it is on just your feet. How long did it take train and prepare for the three-month Tour? We’d been throwing ideas around for a while but once we had the route mapped out, it was about an 18-month lead-time. Obviously training ramped up at different stages during that time, but I was definitely thinking about it and working towards it for that entire time. Did you have to up your training regime? Yes, definitely! I knew how to ride, but I wasn’t a long-distance cyclist. I hadn’t ridden roads at all, and I didn’t even own a bike! So that promised to be a challenge before I got out there this summer. 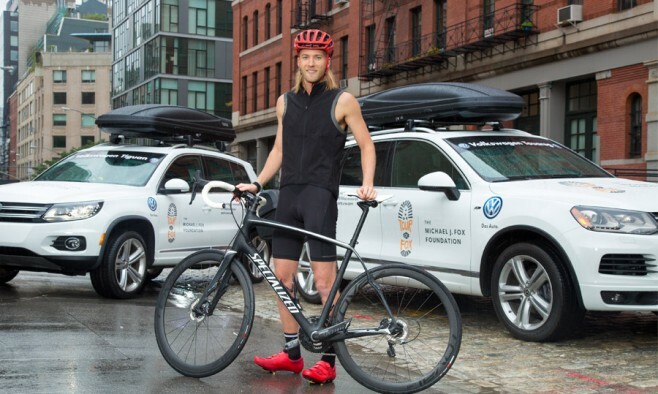 Due to the snowy winter in New York, I was training on a real bike in earnest for only about three weeks before I started out on Tour de Fox, eventually covering 8,000 miles. I actually feel great. Mentally it was a lot easier this time round, I had good support with me the whole way making sure everything went smoothly and comfortably. And we had all of the people that we met, who joined me along the Tour. It was exciting to think about who was coming next, which meant it was easier on the mind, and therefore easier on the body. We had an event in each of the 48 states we passed through. What was your favourite state and why? Was when we were in very, very rural Kansas, right by the border with Colorado, almost 55 people showed up in the middle of a cornfield, which was their highest point! I think it spoke of the general levels of kindness that exists in certain parts of the country. So, let’s say the mid-west, Kansas and Nebraska! What was the toughest challenge of the Tour? The simple answer is probably the highest point in Wyoming, a brutal approach, 55-mile round trip with almost 11,000 feet of elevation. That was four days non-stop of carrying 60 or 70 pounds. Physically that was the toughest. There were a lot of challenges, individually, that piled up. Difficult bike days, difficult climbing days, but it’s hard for the entire crew in an on-going project like this because it just continues to happen, and I had to be ready for it every day. What was your highlight of the whole experience? It’s so hard to pick out just one experience I had. There was Michael J Fox leading the climb in North Carolina, and also meeting my mum and family in Connecticut. Generally, I think the highlight was the feeling of meeting all these different people who had so much in common, and they felt like family everywhere we stopped. What really stands out for me was a guy named Roger Long, who I’ve known for a few years, and he’s had Parkinson’s for 13 years. 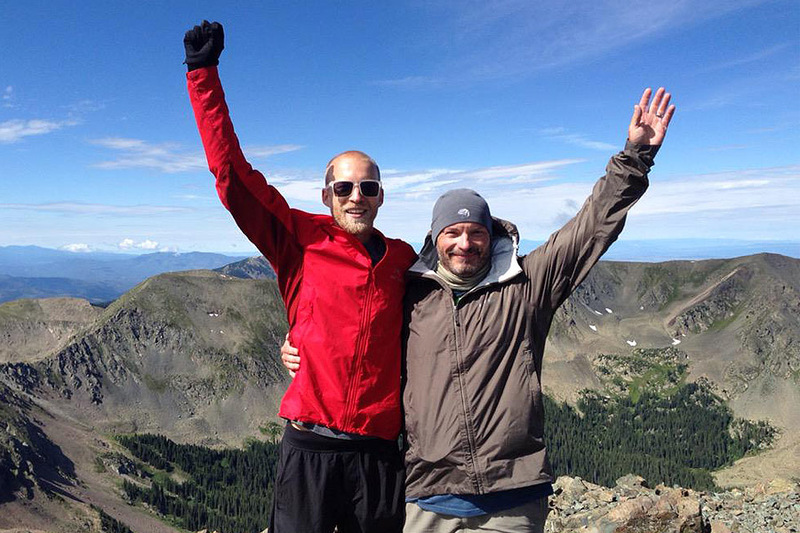 He’s a very active guy from Colorado, climbs 14,000 feet peaks, likes to hike and keep in shape and has been having significantly more pronounced symptoms over the last four or five years. He decided to join the Tour in Utah, which was a three-day climb and his leg wouldn’t let him get to the top of that mountain. He then met us in Colorado, and again his leg wouldn’t let him get to the top of that mountain either. He rested up for a week and a half, and re-joined us out in New Mexico, and finally made it to the top of that peak! Obviously that wasn’t my accomplishment, but I felt proud on his behalf – it was amazing to see him finally get it! Third time was the charm. What was the most unexpected moment? It was surreal seeing people react to Michael J Fox climbing the highest point in North Dakota! It’s just a cow field with a dusty hill on it. We met out there and there was a group of about 40 of us. I had ridden for a couple of months to get there, but everyone there had driven at least three hours and some over night! Michael led the hike up to the highest point, so it was very cool to see their reactions to him. Who’s been your best supporter through it all? I have to thank the incredible crew. And, of course, my mum. She’s directly supportive of me in these projects. And I’m very appreciative of that. It’s not easy for her to travel or to hike, but she made that effort this summer. What have you learnt from doing Tour de Fox? I think when given an opportunity, people are interested in being part of something like this. A lot of people want to do something, and it takes energy, time and effort – and in some cases, money – to make an idea happen. It was interesting to realise just how willing people are to get involved in this fight, especially when you give them something that they can easily plug themselves in to – they will be supportive. So what would your advice be to someone who’s thinking of fundraising, but not sure how to go about it? There is nothing that can’t be turned in to a fundraiser. I started out as a Team Fox volunteer, our grassroots fundraising organisation. It’s a group of 2,000 people worldwide who are turning their hobbies in to fundraisers. Whatever the activity, people are thinking of turning it in to a fundraiser! My other advice would be: don’t go it alone. You’d be very surprised by how many people are willing to help. What next? How do you top Tour de Fox 2015? That’s the million-dollar question! Physically, I don’t know yet. It’s hard to imagine, just because we were on the road for so long. Right now, the Tour de Fox is not over yet. We’ve got over 50 hours of footage from which we’re planning to put together a documentary, essentially telling the story of the people who came out to join us. Once that’s finished, we’ll probably take it on the road at film festivals, other Parkinson’s education events. We don’t have the details yet, but we’ll have another tour where we can go out and tell people about our story and why people should get involved. There’s definitely still travel to do under the Tour de Fox name. And, I dunno, I’ll think on it, I’ll look at some maps for a while! 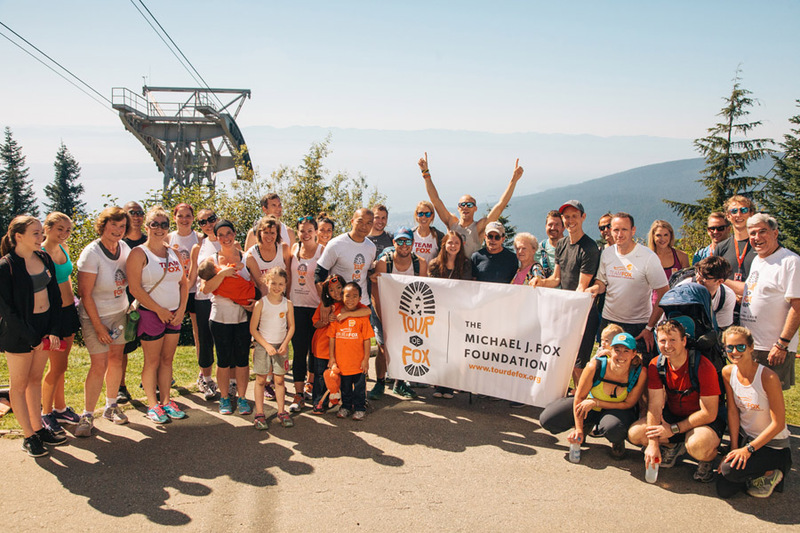 Why did you choose the M J Fox Foundation as your charity? The M J Fox Foundation is the only organisation that is wholly focused on a cure. Everybody has a different personal situation with Parkinson’s, but my family and I care the most about finding a cure, and the Foundation does that absolutely the best. I truly believe that if this disease is going to be cured, it’s going to be because of the work we’re doing. Tour de Fox in one sentence?